Posted on June 20, 2018 by Untermyer Performing Arts Council, Inc. The Untermyer Performing Arts Council is presenting Island Breeze as our premiere program of World Fest 2018 at 7:30 p.m. on Saturday, June 23rd at Untermyer Park, 945 North Broadway, Yonkers. 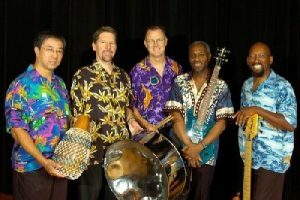 Island Breeze creates the relaxing atmosphere of the Caribbean, combining the beautiful sounds of steelpans (steel drums), accompanied by bass, drums, percussion, guitar and vocals, to present a repertoire of Island favorites by artists such as Bob Marley, Harry Belafonte, Jimmy Cliff, Jimmy Buffet as well as Latin and Caribbean Jazz. A mix of performers both from the US and the Caribbean perform this incredible, eclectic range of tropical music, perfect for the opening of our summer season. This definitely is another “don’t miss” Untermyer Performing Arts Council World Fest 2018 evening under the stars! The Untermyer Performing Arts Council is an all-volunteer organization dedicated to continuing the tradition of Minnie and Samuel Untermyer, bringing musical entertainment to our treasure of a park and the people of Yonkers. Our events are admission free and open to the public. Please bring lawn chairs or picnic blankets, as seating is not provided. In case of rain, call the Untermyer Performing Arts Council’s Arts Line, 914-375-3435, after 2 p.m. the day of the performance for confirmation of the program’s location. This year our rain site will be Saunders High School, 183 Palmer Road, Yonkers. This program, done in cooperation with Mayor Mike Spano and the Yonkers Department of Parks, Recreation and Conservation, is made possible by ArtsWestchester with support from Westchester County Government and the City of Yonkers. The Empire City Casino, Assemblywoman Shelley Mayer and our many generous supporters provide additional support for our programs. For further information, please call the Untermyer Performing Arts Council’s Arts Line at 914-375-3435. 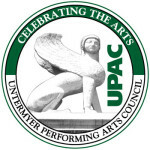 For updates, visit our website www.untermyer.org, our Facebook page at https://www.facebook.com/upac1976/, follow us on Twitter @UntermyerPAC, LinkedIn and Pinterest. About Untermyer Performing Arts Council, Inc. This entry was posted in Press Releases and tagged Music Caribbean Music in the Air Untermyer Park. Bookmark the permalink.